Intel today said one of its eighth-generation "Coffee Lake" processors delivered more than a 30 percent performance boost over an equivalent seventh-generation "Kaby Lake" processor in recent testing. Both generations of chips are suitable for Apple notebooks, such as the 12-inch MacBook and MacBook Pro. "We will have more to say about the 8th Gen Intel Core processor in the future but it's exciting to share that in the latest testing, we're seeing a performance improvement of more than 30 percent over the 7th Gen Intel Core processor," said Gregory Bryant, a senior executive at Intel. Using the benchmark tool SYSmark 2014 v1.5 on Windows 10, Intel compared an unreleased Core i7 quad-core processor with an unspecified base clock speed, and Turbo Boost up to 4GHz, against its Core i7-7500U dual-core processor with a base clock speed of 2.7GHz and Turbo Boost up to 3.5GHz. Both are 15W chips, creating the possibility of a quad-core 13-inch MacBook Pro with Coffee Lake in the future. Intel aims to make its Coffee Lake lineup available to computer makers in the second half of this year, and the eighth-generation processors should provide the usual benefits of faster performance and longer battery life in future Macs. 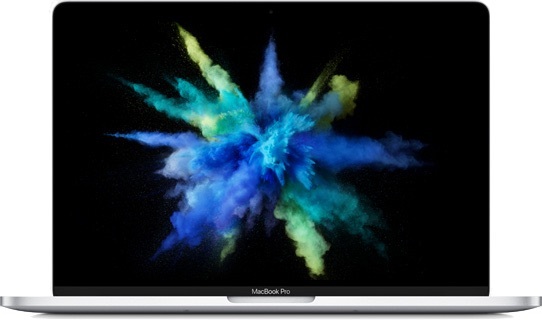 Apple has yet to update its Mac lineup with Kaby Lake processors in the first place, but the company reportedly plans to announce new 12-inch MacBook and MacBook Pro models equipped with the seventh-generation chips at its annual Worldwide Developers Conference next week. It's still too early to say when we'll see the first Mac with Coffee Lake, but it likely won't be until at least late 2017 or early 2018 given Intel's roadmap. Earlier this year, KGI Securities analyst Ming-Chi Kuo said Apple plans to launch a nondescript "15-inch MacBook" with 32GB of desktop-class RAM. He said the notebook will enter mass production in the early September quarter, but it's uncertain if Coffee Lake processors will be readily available by then. 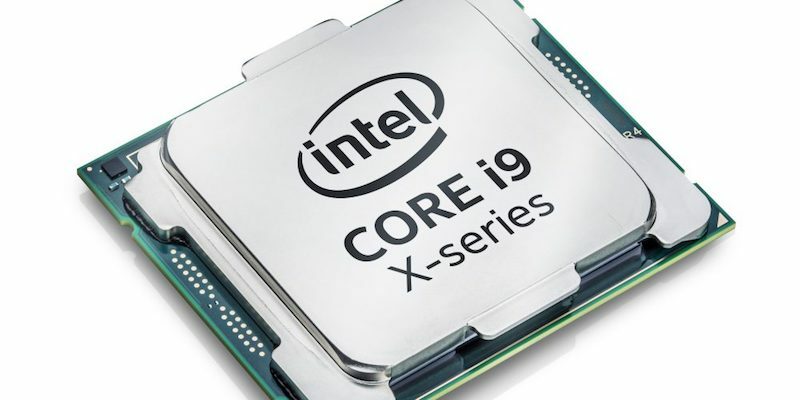 Intel today also unveiled its Core X-series processor family for desktop computers, ranging from quad-core options to the high-end Core i9 Extreme Edition with 18 cores. The processors, codenamed "Basin Falls," are "coming soon." More details and tech specs are listed in this fact sheet and slideshow. Apple has promised to release a high-end iMac for professional users later this year, and Intel's new Core X-series processors appear to be appropriate for the desktop computer if the company wishes to use them. However, a rumor points towards Apple using Intel's Xeon E3 processors for at least some of the new iMacs. Apple's current Mac lineup uses a mix of Intel's older Haswell, Broadwell, Skylake, and Ivy Bridge processors. Coffee Lake will be an iteration of Kaby Lake, based on a 14nm process, and it's not to be confused with Intel's upcoming "Cannonlake" processors based on an all-new 10nm process. So if Apple refreshes the MacBook's next week, they'll be outdated again within a couple months? Welcome to the world of tech. Gimped GPU, soldered components, limited ports, insulting price tag, etc. Introducing the revolutionary 2019 MacBook Pro with Coffee Lake processors and no ports at all. Charges from the bottom of the device, because courage. Coffee lake? What happened to cannon lake? Coffee sounds much more productive than a Canon, although I guess that depends on your needs. Agree - gets old. Always out of date and just keep doing to make new money. strange how that works isn't it? Those pesky new things keep coming along. Hate to break it to you: they're already outdated. Uh, so the MacBook Pro that hasn't been released yet is outdated because of an Intel chip that is far from being released yet (see Intel's recent scorecard on hitting their own schedule or promised performance). Your comment doesn't make sense. Apple cannot release a computer using a non-existent Intel chip, nor can they, in fairness, even design a computer based on a non-existent chip. This is not an Apple issue, go troll Intel. Coffee Lake is a refinement of Kaby Lake. Same 14 nm process but various additions like six-core mobile CPUs. Cannonlake is the move to 10 nm.